The Bubbles can be really annoying obstacles since they are robbing your attack powers until you touch one again. They can be blown away with the Deku Leaf though. 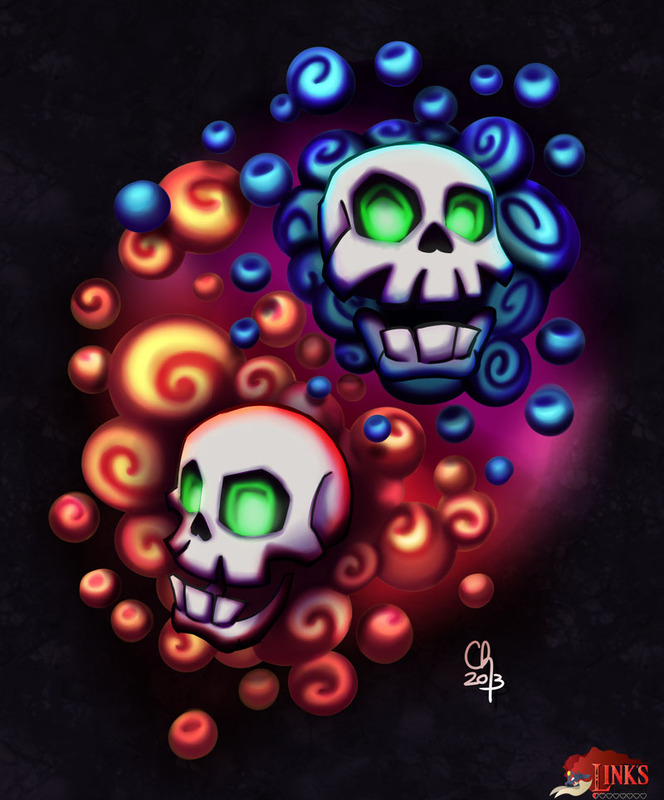 “Here’s a couple of Bubble baddies from Legend of Zelda: Wind Waker for #Game-Art-HQ’s current round of Link’s Blacklist! The red one is fire and the blue one is poison. You don’t want to mess with them because they will either burn you or…well…poison you.